SynChill – Horse calming supplement – (12 box set) | SynNutra, Inc.
Why are horses nervous? Where does horse anxiety originate? Although this is not an exhaustive and exclusive list, these are a few reasons horses act nervous or anxious. Fear is a potent and natural component of the horse’s cognitive behavior. As a prey animal, fear is an essential response to danger; and signals the flight reaction. Startle reflexes, like bolting, propping, running off, etc., can all be responses to fear. It is natural for horses to respond to subtle sounds and loud noises. Sudden movements nearby can signal predators. Even though fear is a basic survival instinct for the horse, it is usually not a desirable characteristic while riding or performing. Confusion by the horse can be very frustrating to the horse himself, and the rider. When the horse does not understand commands, it is easy for him to become agitated and act out. This can be from anticipation of negative consequences or from the horse’s own emotional responses. Horses certainly vary in temperament, so some horses’ emotional responses are much greater than others. It is important for the rider to understand when persistence in training is productive and when it is counterproductive. Each horse is an individual concerning his or her own tendencies. They vary in their levels of natural innate responses to their surroundings, whether human or environmental. Getting to know and understand your horse’s unique personality will help minimize the negative aspects of the prey mentality. 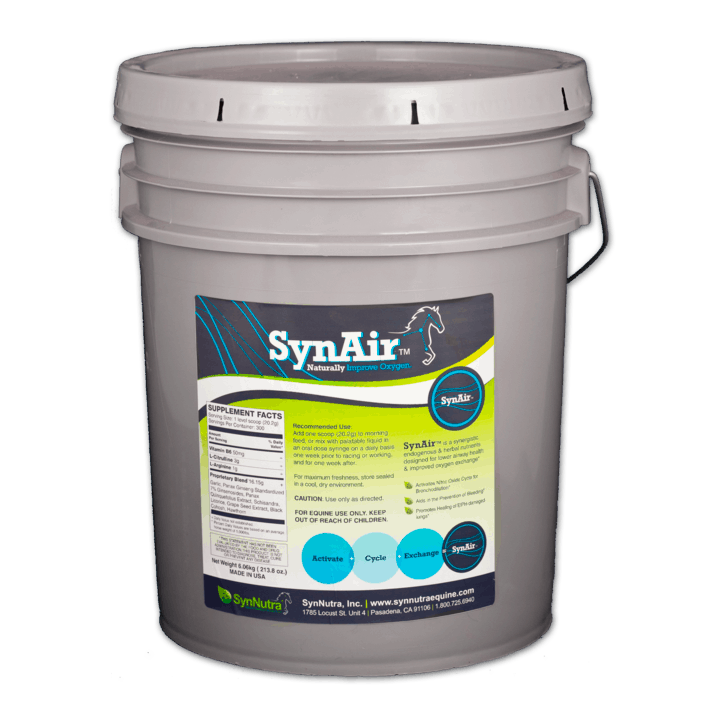 Developed by an equine veterinarian, SynChill is an all-natural feed supplement, formulated to calm nervous horses. 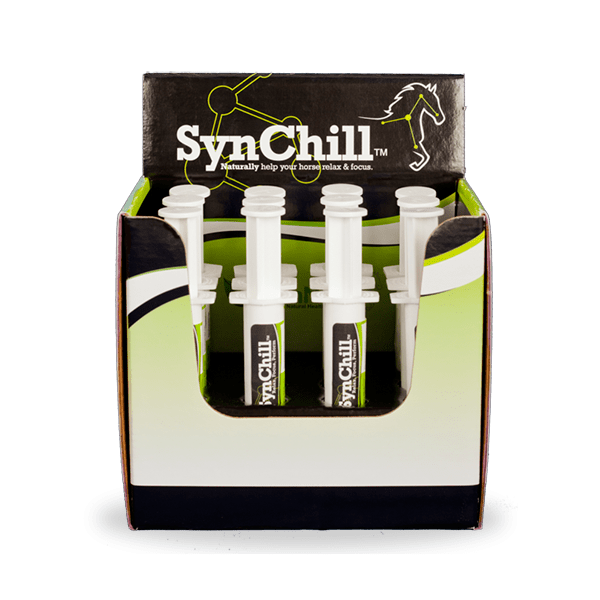 SynNutra, Inc., the nutraceutical company founded with a mind to both safely and effectively promote complete equine wellness, offers SynChill— a palatable, drug-free, oral gel that produces a sense of relaxation in your horse when administered in advance of a stressful event. In addition to its calming effects, SynChill allows horses to both focus and perform confidently and securely; with the complete mental clarity and physical ability that sedatives and tranquilizers simply cannot offer. 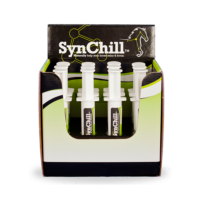 Initially tested in young Thoroughbred race horses, SynChill contains a totally unique blend of natural biochemical substances that repeatedly prove effective in reducing anxiety and calming horses even in the fast-paced environment of the race track. These calm horses can focus and perform at the highest level. What makes SynChill the best horse calming supplement? SynChill is composed of the natural brain chemical, 5-HTP (5-Hydroxytryptophan); a totally unique offering in the world of equine calming supplements. 5-HTP is the precursor to serotonin, the hormone widely recognized as a natural antidepressant, and is critical to the horse calming properties of SynChill. 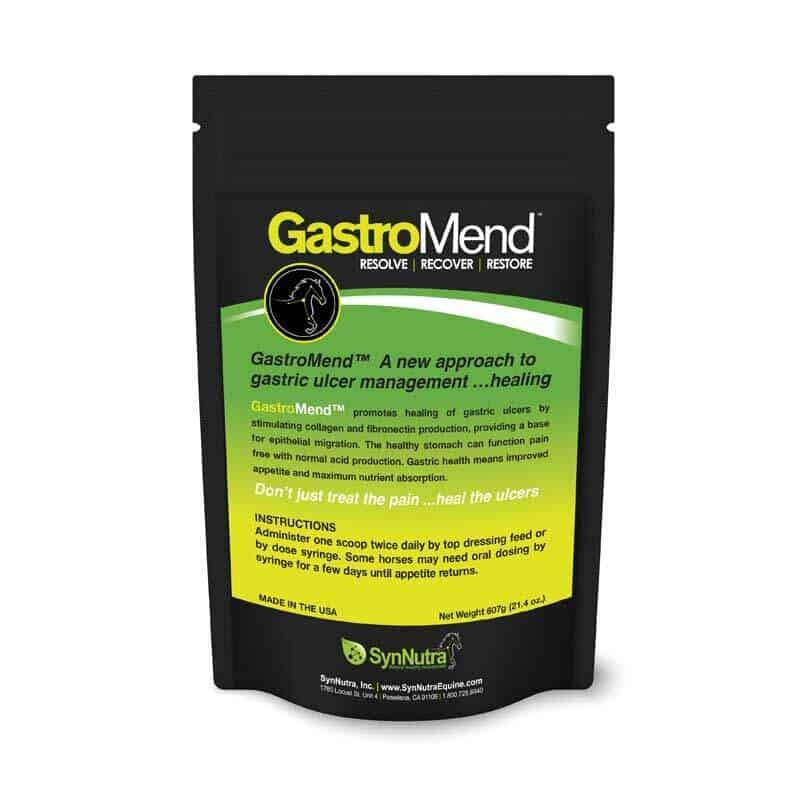 Some commonly known vitamin pastes and powders show a negligible response to equine stress, and the tryptophan products alone do not have the ability to cross the blood-brain barrier, rendering them virtually useless in decreasing anxiety unless used at very high, unnatural levels. Dispensed in handy, single-dose syringes, SynChill is a pleasantly sweet-tasting, odor-free, clear gel. Composed solely of endogenous ingredients, SynChill is not a drug, and contains no banned substances. SynChill oral gel is a proprietary blend of 5-HTP, Vitamin B6, and melatonin that took years to develop and perfect. Unlike typical tryptophan-based supplements, SynChill is the only one that contains 5-HTP (5-hydroxytryptophan) — a game-changer among equine calming products. An important amino acid, 5-HTP crosses the blood-brain barrier (as an active ingredient) to become a key player in the formation of serotonin; one of the body’s widely recognized “feel good” hormones. 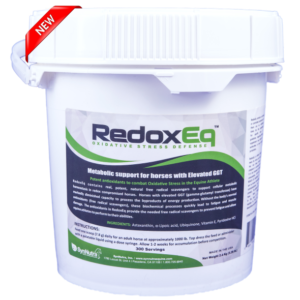 Vitamin B6 promotes the conversion of 5-HTP to serotonin, further enhancing its natural horse calming effects. Melatonin increases and intensifies the production and maintenance of serotonin, complementing the stress-reducing properties of both hormones. Please see the diagram below for a graphic explanation. To become 5-HTP, an active ingredient, tryptophan must first bemetabolized by the liver to freely cross the blood-brain barrier. 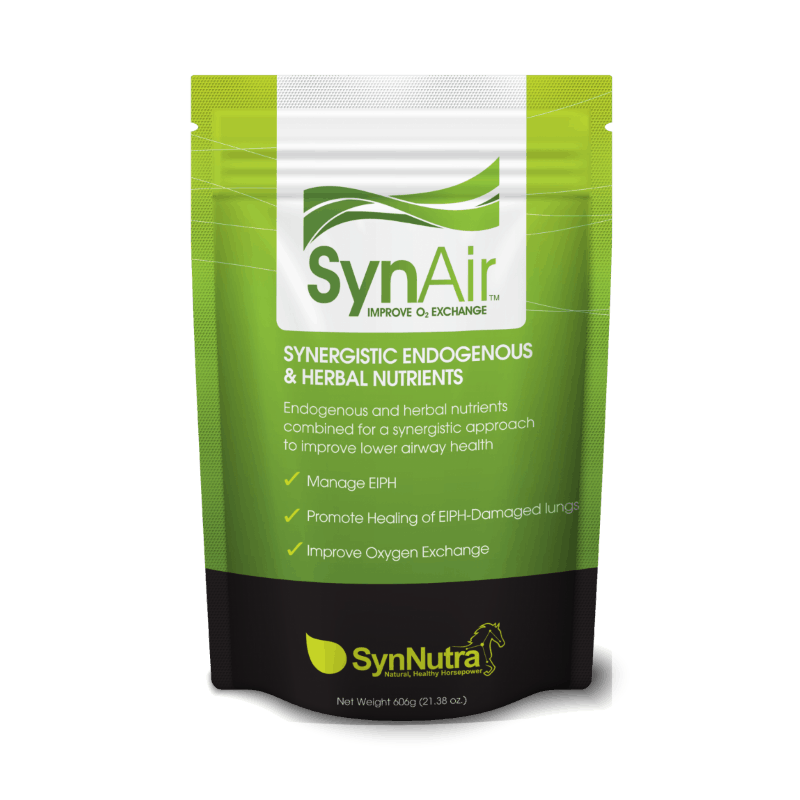 SynChill contains 5-HTP which crosses the blood barrier freely. Vitamin B-6 promotes the conversion 5-HTP to serotonin which is the active horse calming agent.